Tom — The Wild Bunch is an adjustable height bar stool with a natural and simple aesthetic, designed by Konstantin Grcic for Magis. Tom and Jerry is the redesign of a classic furniture typology: the workshop stool. 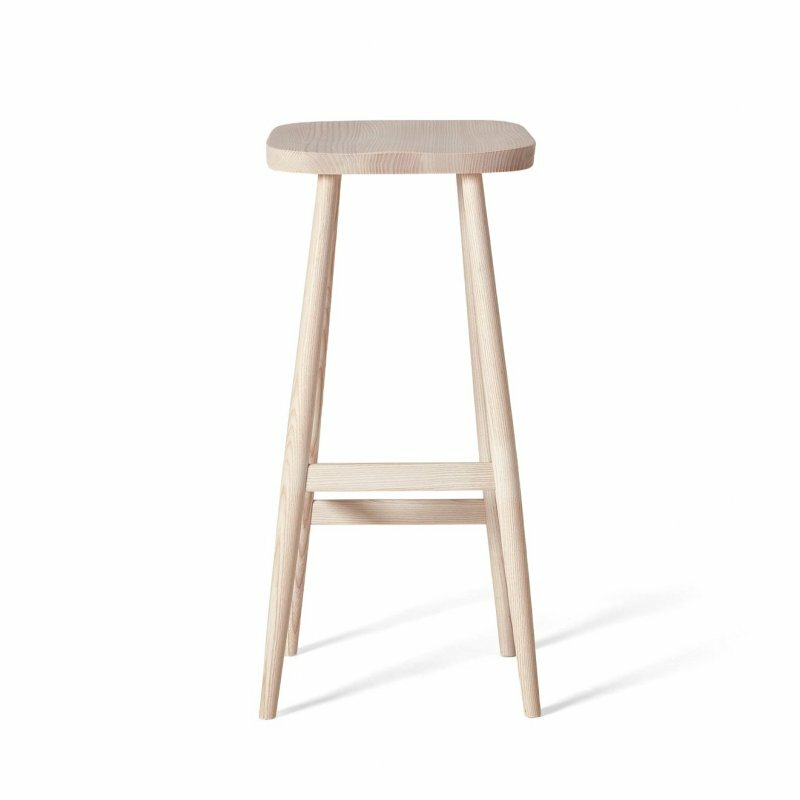 The three-legged stool (in two different heights) is made of solid beech wood, with mechanical parts in self lubricant plastic. Its smooth-running mechanism makes it easy to adjust and comfortable to sit on. The stylistic contrast between the visual quality and beauty of the beech and the plastic of the mechanical parts makes it a versatile product, suitable for use in a wide range of working, recreational and private situations and spaces: from a professional studio to a child&apos;s bedroom, to a trendy, modern bar or a kindergarten, no place is out of bounds for Tom and Jerry, and they will always fit in and perform their essential function perfectly. Made in Italy.